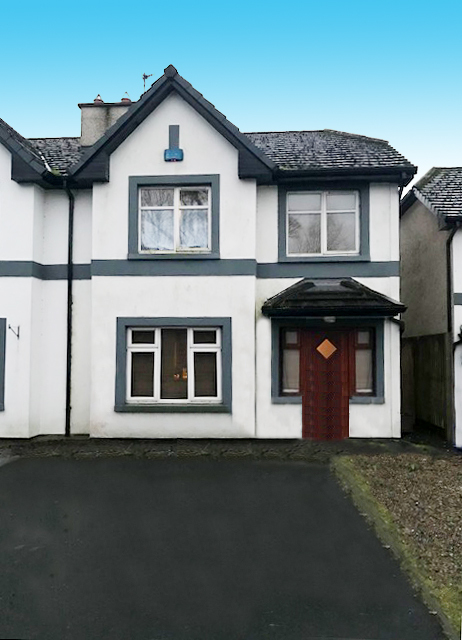 REA O'Connor Murphy are pleased to offer for sale this spacious three bedroom semi detached house conveniently positioned at the front of Ros Fearna development overlooking a small green area. Outside the property benefits from a tarmacadam driveway with two car park spaces, a side entrance, maintenance free rear garden with patio and decking area. Inside the welcoming hallway accesses the spacious living room, with double doors leading into the kitchen/dining area. There is a guest wc under the stairs. Upstairs provides three bedrooms, two double one being the master with an en-suite. The family bathroom completes the first floor accommodation. Murroe is a small village located in Co. Limerick circa 22km to the east of Limerick City via the R445. No. 2 Ros Fearna is located off the Ross Fearna Road in to The Meadows development. Amenities in the area include Murroe Boher GAA Club, Glenstal Abbey School and local bars and restaurants. Further essential amenities are located in nearby Newport and Limerick City. This property is being sold with a tenant in situ. Please contact us for further information regarding the present tenancy. Services: Oil fired central heating. Circa 96 sq.m (1,033 sq.ft). Double glazed windows and doors. Viewings by appointment. Please register your attendance for viewings.